As the Managing Director- Asia of Rockefeller Foundation, Ashvin Dayal oversees work for strengthening and complementing the Foundation’s initiatives around the globe. Previously, Mr. Dayal held various senior policy, management and leadership roles with Oxfam Great Britain and most recently headed their South Asia operations from New Delhi, India, where he was responsible for developing and managing strategy and programs focusing on disaster management, climate change resilience, private sector engagement, agricultural development, and promoting women's economic leadership. Can you tell us about the SPEED Project?What was the thought behind conceiving this project? The SPEED project was initiated by the Rockefeller Foundation about 24 months ago. SPEED stands for ‘Smart Power for Environmentally sound Economic Development’. The idea behind the project was essentially tolink energy and rural development by looking at the multipliers available that can quickly catalyze change. We felt that there was an approach for catalyzing renewable energy usage in un-electrified rural areas by leveraging the power needs of the telecom towers. Some projects had beeninitiated in the past, but did not materialize completely. So, we thought it was best to conduct research first to understand the constraints and opportunities in small scale stand-alone grids or micro grids systems operating in rural areas, and to understand the willingness to pay and incentives for telecom tower operators to switch to renewable energy. The goal was also to identify whether this model is scalable or not. In the second phase of the initiative, the aim is to test our findings by investing in efforts that would help develop scalable models and also supporting opportunities that small and micro-level rural enterprises provide. Our goal fundamentally is to work towa rds economic development for the poor, by using the opportunities provided by enterprise solutions and using renewable energy as means. What was the rationale for choosing India as the starting point for this project? We felt that India has all the characteristics to create an ecosystem for testing and developing a model like SPEED. Firstly, there are probably about 400 million people in India who do not have access to reliable electricity through mainstream grid. Hence, there is a large off-grid rural population in India. Secondly, India has a very dynamic, fast-growing, highly competitive and cost-sensitive mobile phone industry. Even a marginal cost-savings will likely be a very valuable incentive in this environment. Finally, there are already a lot of entrepreneurial and social innovations happening in rural and urban India through the application of technology and market based solutions in all sectors. So the institutional environment is very conducive for developing a new model like SPEED. Who are the various stakeholders in the SPEED initiative? At the moment, we have a set of co-stakeholders in terms of implementation partners, and there is a larger set of stakeholders in the global ecosystem. For an initiative like SPEED to develop, we have to catalyze interventions at various levels to create and expand the model. We work directly with organizations that are working with communities to develop small-scale renewable energy units (whether biomass, solar, wind or hydro). The capacity of the stakeholder organizationsneed to be not just on the technology side, but also in a community development aspect. The SPEED project is based on management of the demand-side constraints, ensuring that we catalyze sustainable demand by facilitating development of new rural economic opportunities. How has been the uptake of the SPEED initiative by the various stakeholders so far? The feedback has been extremely positive. 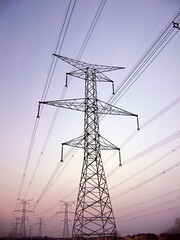 The basic underlying logic of the model has created a lot of enthusiasm and support, like, the incentive and opportunities to leverage the power sector, benefit to the communities, working with the cell tower industry as the anchor load and providing them with the motivation to switch from using expensive diesel to more cost-effective and sustainable renewable energy. There has been a lot of excitement within the industry and the donors and private investors. There has been a push to move the project at a faster pace, but at the same time we want to ensure that we progress at a pace that will guarantee the project’s success on a long term basis. The project needs to have a blend of public and private finance initiatives. We need to attract higher risk-taking investor profiles, but also the long term expansion of the project will depend on the desire of commercial investors to enter the space. What is the current status of the SPEED initiative and what are the plans going forward? We have completed the study phase, and are now entering the test/pilot phase. Our plan over the next 18 months or so is to develop 50 individual renewable energy projects. These projects will be executed in clusters in order to test different models- in terms of technology, ownership and financing options. The core focus of this test/pilot phase will be to develop the scalability of the model – franchise model, individual entrepreneurship, and community owned models. In order to develop these 50 projects, we will be working with the mobile industry, other technology suppliers and also with the Government. We will also look at policy barriers that might emerge in the future, so that they can be addressed to ensure that there are no negative incentives going forward. What are the next steps for the SPEED Project going forward? Beyond these 50 projects, if the model is succeeding we hope to expand the project into an initiative that could target up to a thousand units. On average we are servicing about one thousand families, but it really depends on the level of demand that is generated for commercial use of rural economic opportunities and telecom towers alike. We need to find other aggregators in terms of anchor loads for demand, as cell towers alone will not be enough. We also need to see how we can catalyze the success of the project to motivate other stakeholders, donors and private investors to get involved. This interview was conducted by Roselin Dey of the India Carbon Outlook editorial team.